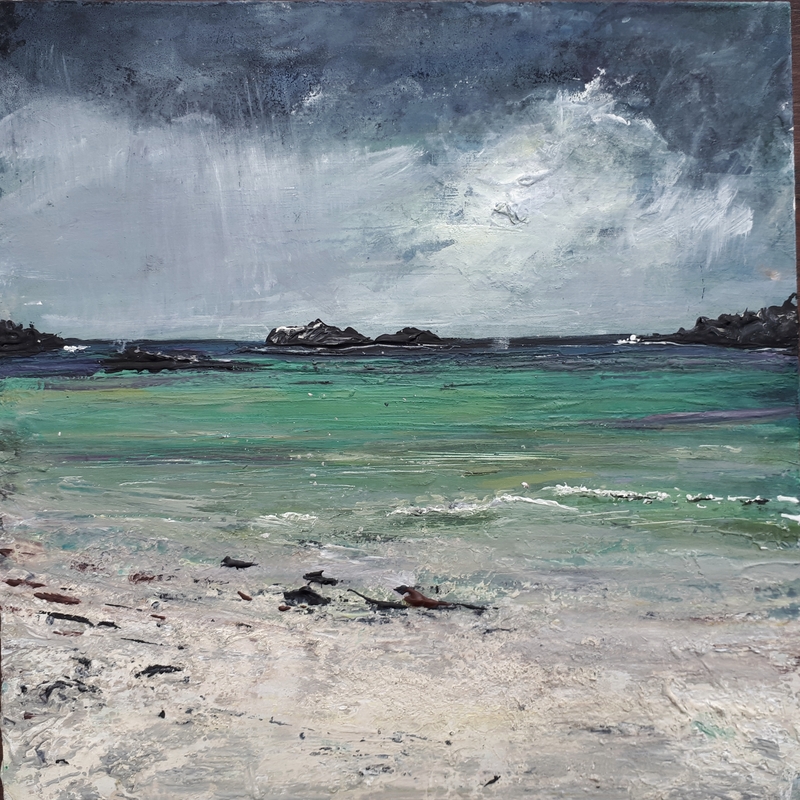 Two paintings of Iona for the Resipole Gallery in Acharacle, on the West coast if Scotland. Just for contrast with the previous paintings of Iona I’m painting two of the West coast of the island. This is Goirtean Beag beach with a storm coming in. 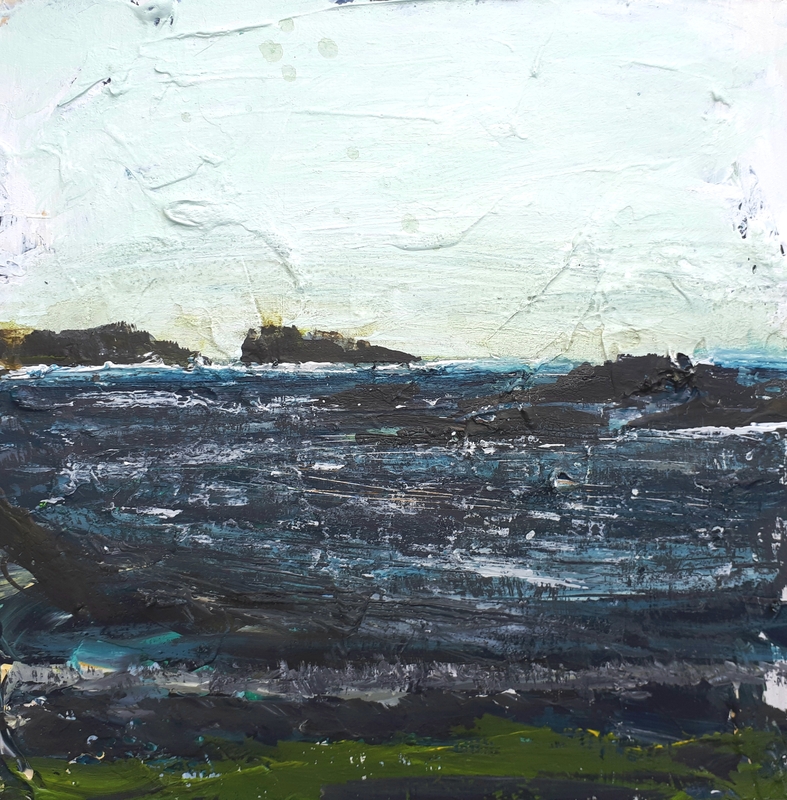 The Limetree exhibition in Bristol launches on the 15th September and I’m absolutely delighted that two of my paintings for the series have sold – ‘Sound of Iona I’ and ‘Sound of Iona II’. Many thanks to the buyers! As well as my work there are two more artists in the show; Henry Jabour and Vivienne Williams RCA. Even from digital images I can see the interesting ways our work relates and contrasts – I really look forward to seeing the exhibition and meeting everyone there in September. This entry was posted in Uncategorized on August 21, 2018 by rosestrang.